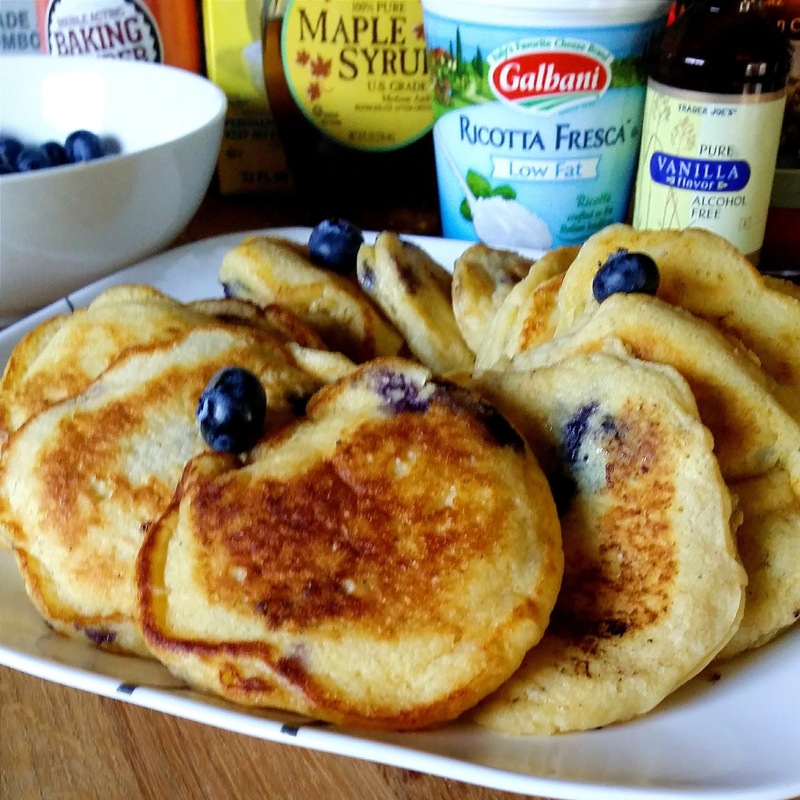 Summer officially starts today and since we have so many blueberries in the fridge, I thought blueberry pancakes would be a nice "Welcome Summer" breakfast. I'm using my old recipe inspired by the famous BLD Blueberry-Ricotta Pancake featured in one of the episodes of The Best Thing I Ever Ate. 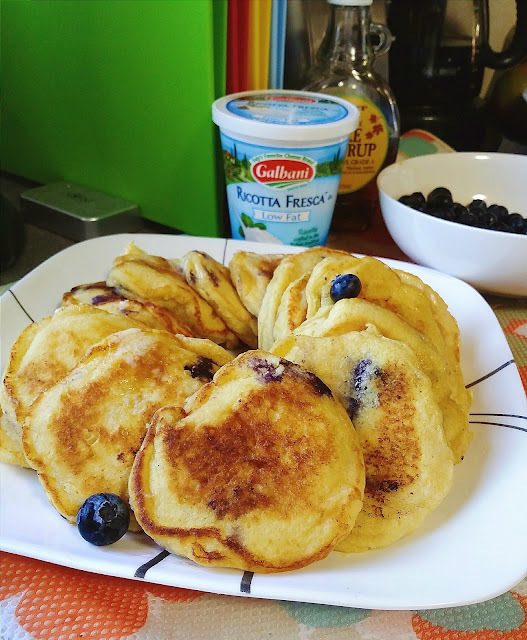 I love these light and fluffy pancakes and how fresh blueberries really go well with ricotta cheese. Finally, I have more appreciation for ricotta cheese and it has become one of my must-have cheeses in the fridge. 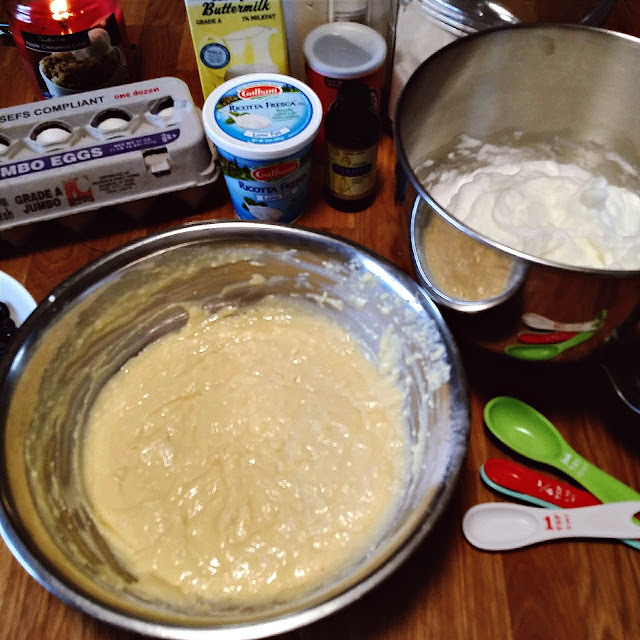 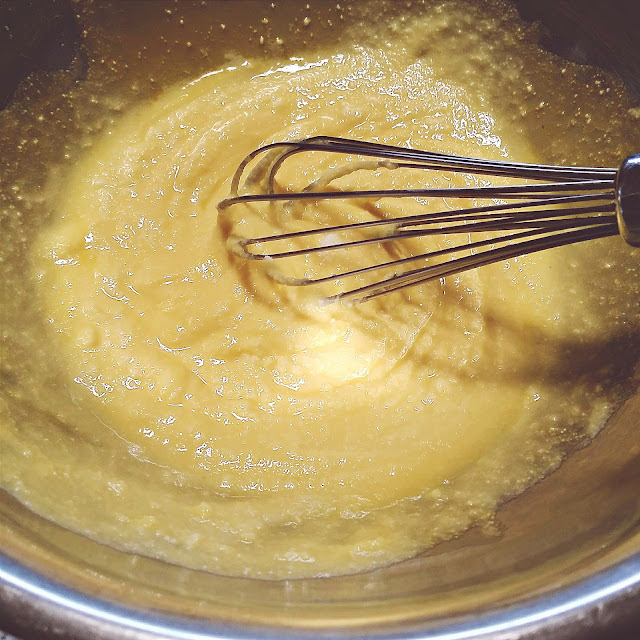 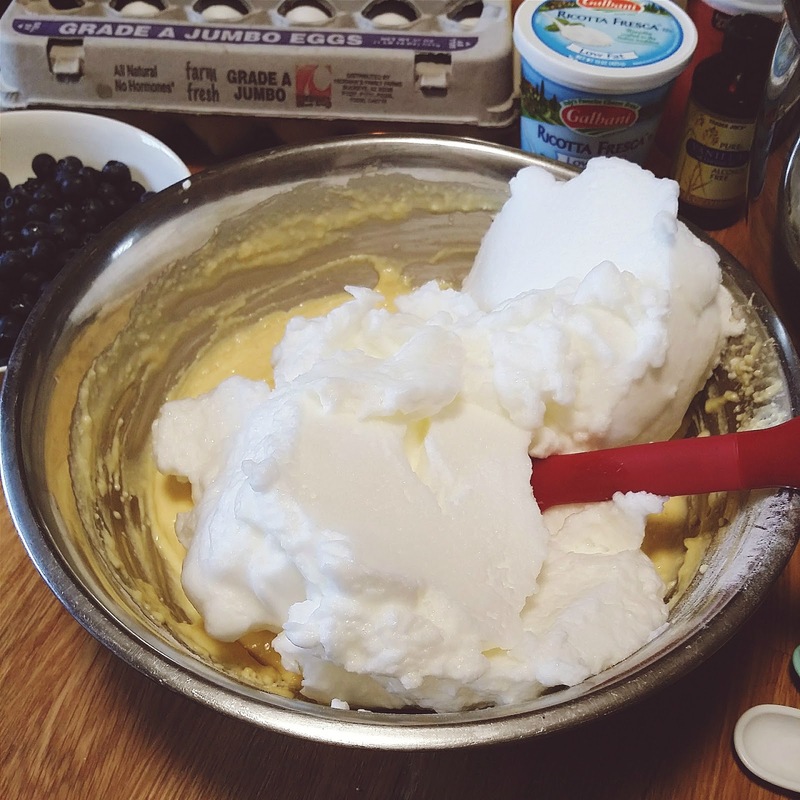 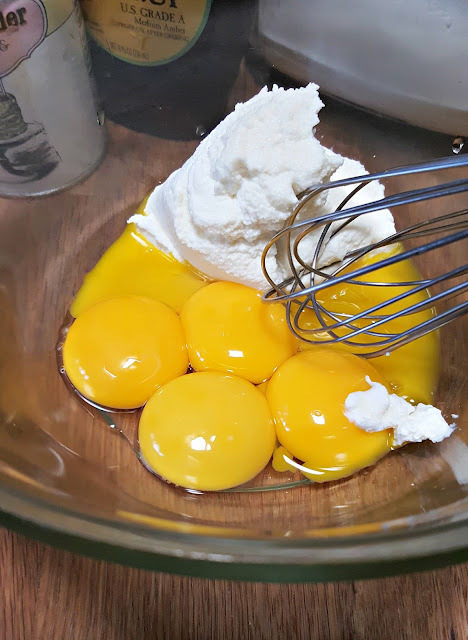 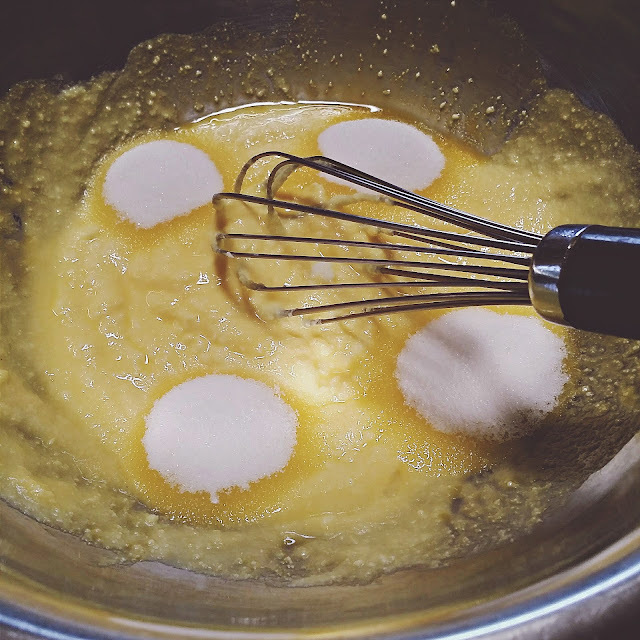 Separately, whip the egg whites for about 4 minutes or until stiff. 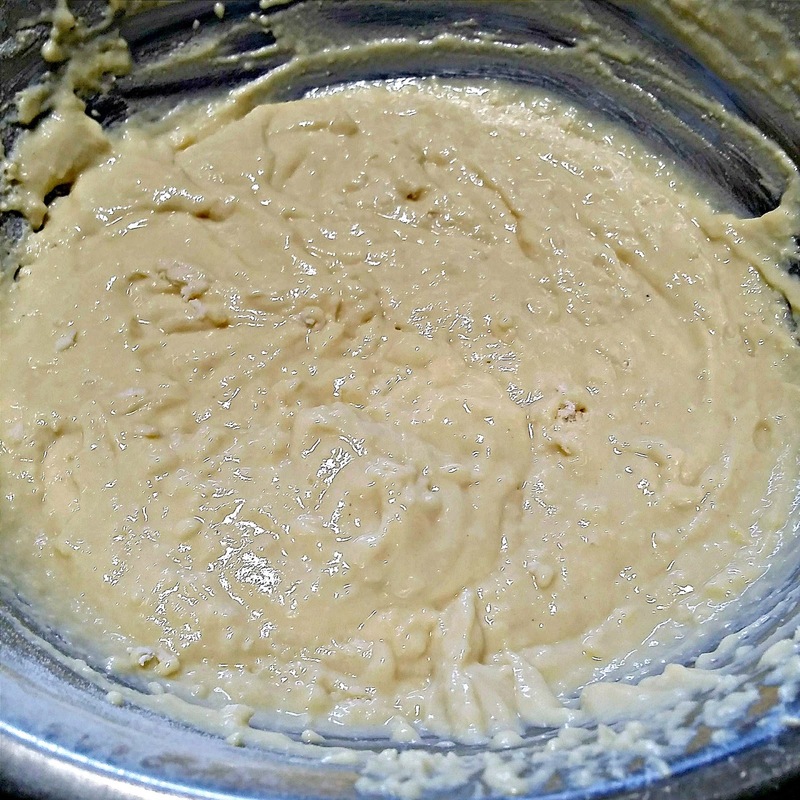 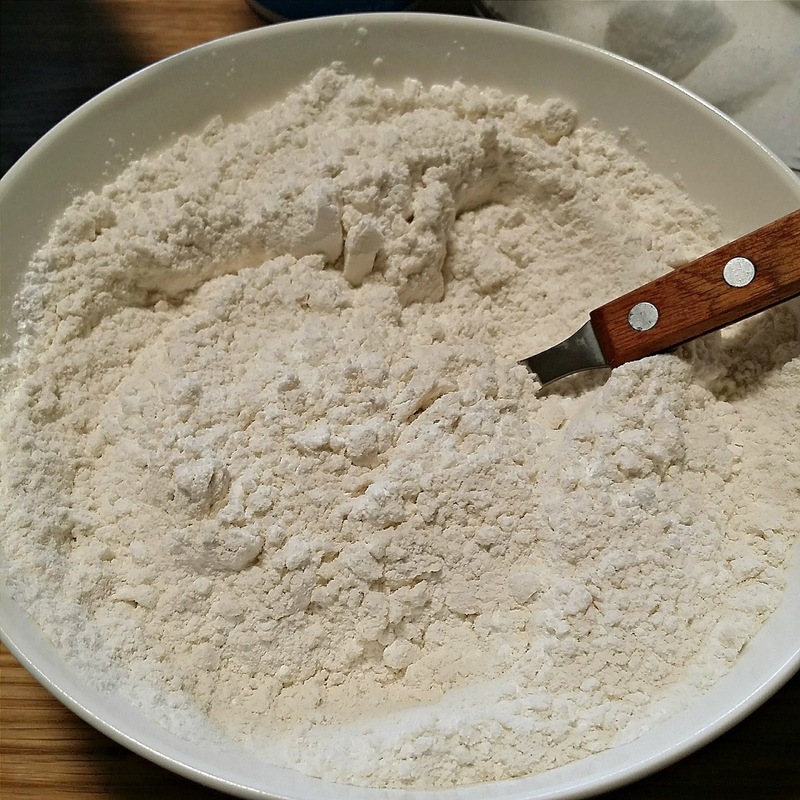 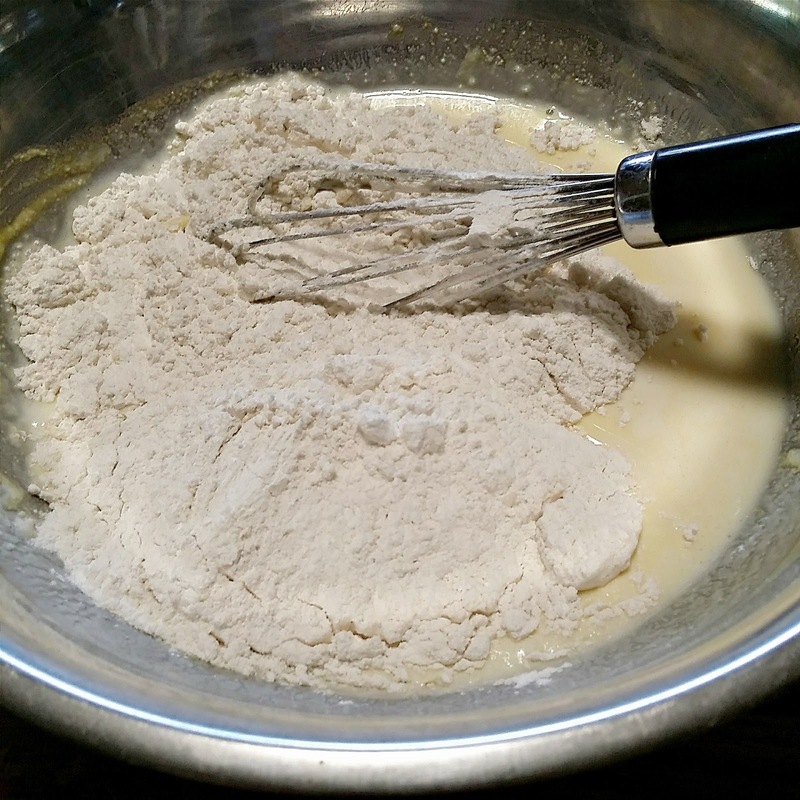 Fold the whites into the batter and stir gently until uniformly combined. 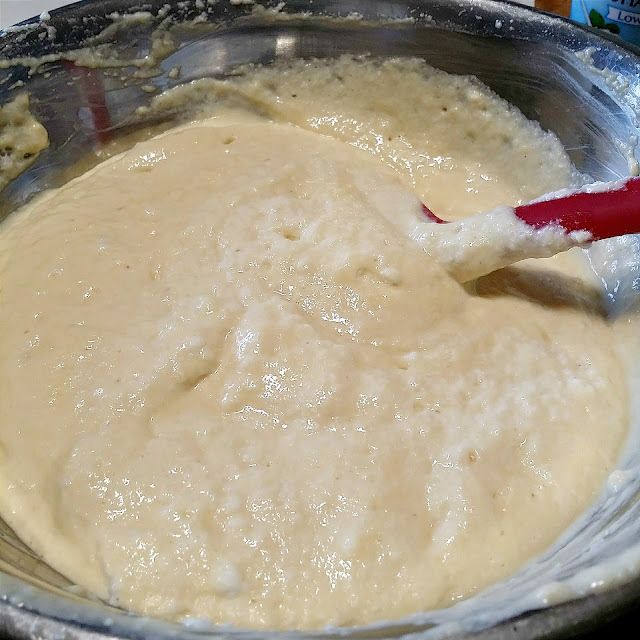 Let stand for 5 minutes. 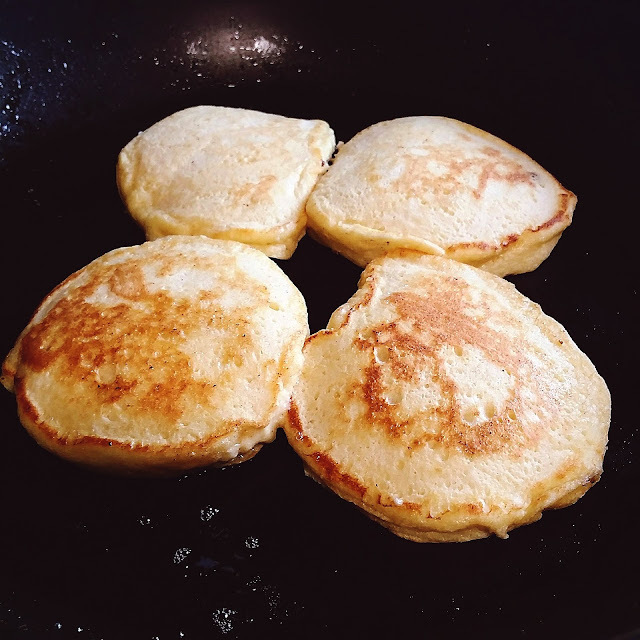 Preheat the griddle to medium heat. 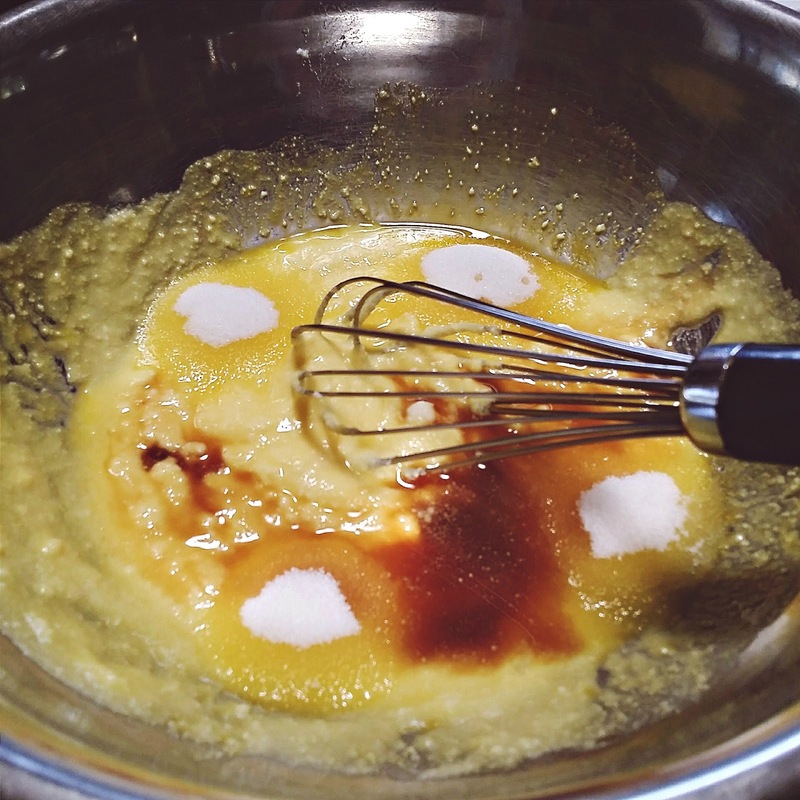 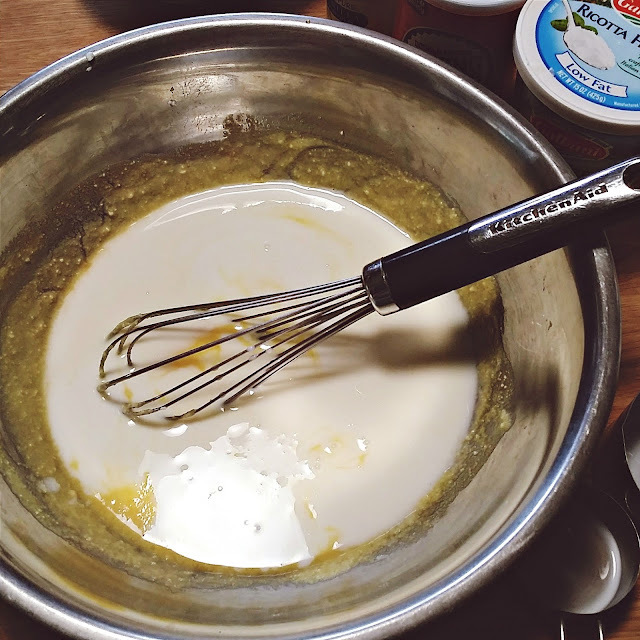 Using the half cup measuring cup, pour batter onto the lightly-greased griddle. I used my nonstick pan. 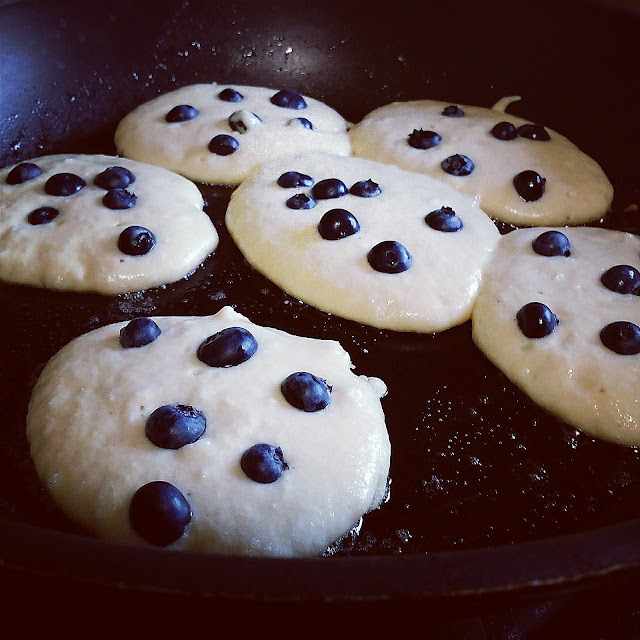 Add blueberries to each pancake and cook for roughly 2 minutes on each side, or until the pancakes are golden-brown and cooked through. Re-grease the pan or griddle with canola oil before cooking each pancake. Stack on a serving plate, garnish with blueberries and serve with butter and maple syrup.